Legal news for New York Mesothelioma attorneys – OSHA accused contractor of putting workers at risk. Buffalo, NY (NewYorkInjuryNews.com) – The Occupational Safety and Health Administration (OSHA) www.osha.gov is potentially fining a contracting company hundreds of thousands for failure to prepare their workers for the dangers of working with asbestos laden debris, as reported by The Buffalo News, on December 1, 2009. The company, Cambria Contracting, withheld information from their workers at the AM&A’s warehouse where the debris contained asbestos, which is a hazardous fibrous dust particles known to cause Mesothelioma- a form of cancer. The company allegedly did not tell their workers about the presence of asbestos, or provide them with the proper safety masks and clothing needed to safely work with the hazardous materials. The company faces $484,000 in fines from OSHA for the serious violations. OSHA officials reported that there were several workers at the warehouse, which is located on Washington Street, who were not properly trained to work in the potentially dangerous conditions. 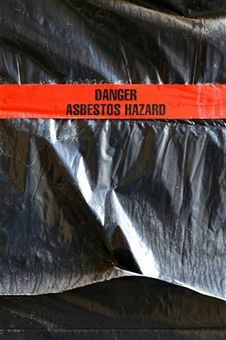 OSHA also claimed that the Lockport contractor had failed to determine the actual amounts of asbestos that the workers were exposed to while cleaning up debris, in addition to the lack of supervision or direction for handling asbestos at the site. The workers unknowingly removed asbestos-laden debris in such a way that could release it in the air, claimed OSHA authorities. In order to remove asbestos safely, workers are required to use vacuums with HEPA filters. OSHA charged Cambria Contracting for 11 violations where the company reportedly blatantly disregarded the workers health and safety. OSHA’s New York regional administrator stated that the company is an experienced asbestos removal company that is aware of the requirements and safety precautions that are necessary for the safety of their workers.